Designed by Mark Finlay Architects, the Trinity Forest clubhouse is bold, fresh and identifiable, and perfectly captures the modern spirit of today’s game. 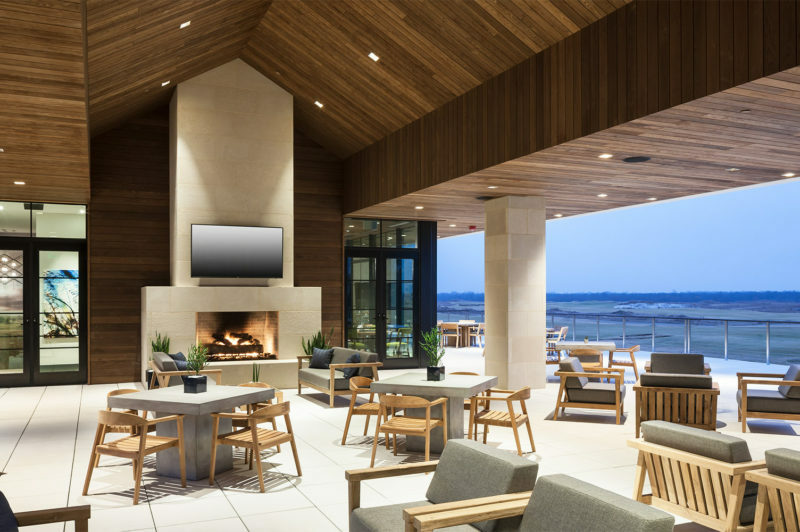 Its spacious and well-planned spaces invite interaction and imbue the club with the palpable energy and vitality that are essential components to the Trinity Forest experience. Main venues are linked by attractive open-air terraces which provide grandstand-type viewing opportunities to the action on the golf course. 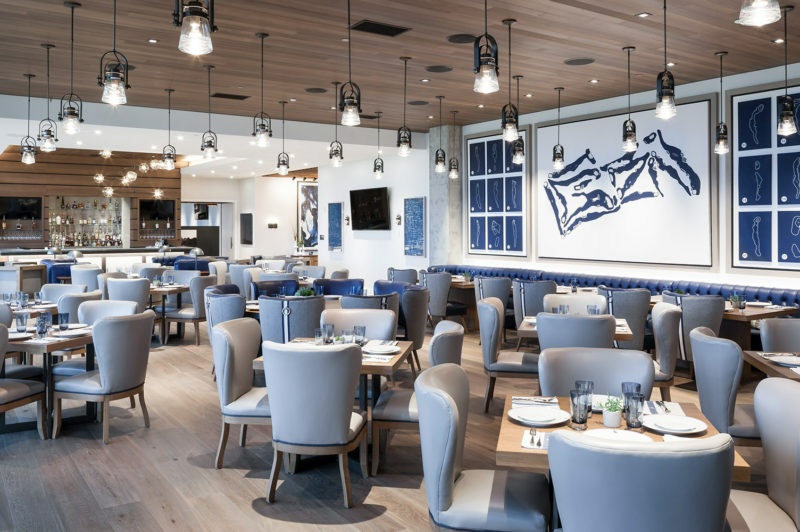 Though classically modern, the clubhouse is respectful of the game’s rich traditions with spaces reserved for the Main Grill Room with Bar, Private Dining Room, Ballroom, Men’s and Women’s Locker Rooms and Lounges. The interior spaces convey a masculine, comfortable atmosphere complemented with a stylized modern touch. The use of classic design patterns and colors are kept fresh looking through the use of highly curated modern furniture and art. This thoughtful attention to detail accounts for a polished sophisticated look that feels entirely comfortable and cohesive throughout the club. 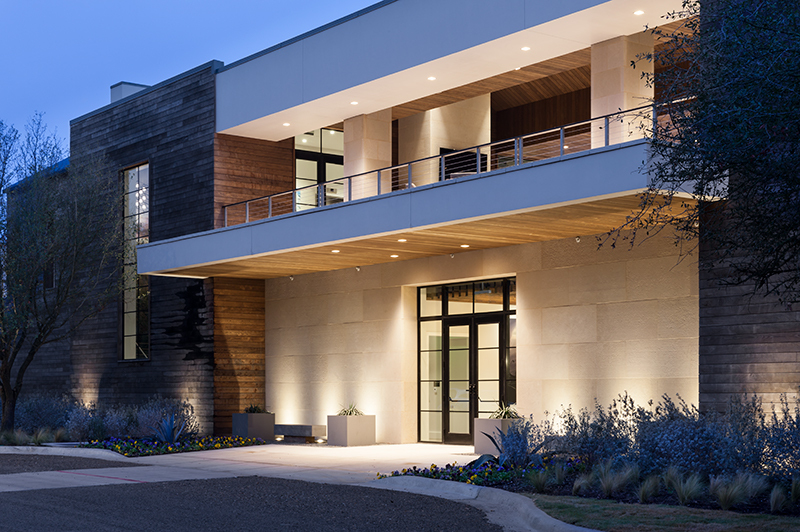 Finally, the clubhouse campus is completed by “The Lab,” a state-of-the-art teaching facility that houses Altus Performance headed by Cameron McCormick and the SMU Golf Team’s Payne Stewart Golf Training Center.